Daily Mirror - Contamination of rebels’ blood or their lives? Contamination of rebels’ blood or their lives? The former head of the women’s political wing of the Liberation Tigers of Tamil Eelam (LTTE) Subramaniam Sivakamialias Thamilini was again in the news from early this month for two reasons. Firstly, Rs 300,000 of the proceeds from the sales of the translation of her autobiography was donated to the Maharagama Cancer Hospital where she was treated immediately before her death by the publisher of the translation, veteran film director Dharmasiri Bandaranayake and her husband Mahadevan Jayakumaran on August 5. Secondly, her name is being dragged during the current controversy over a series of deaths of rehabilitated former LTTE rebels under what is being called ‘mysterious circumstances’. 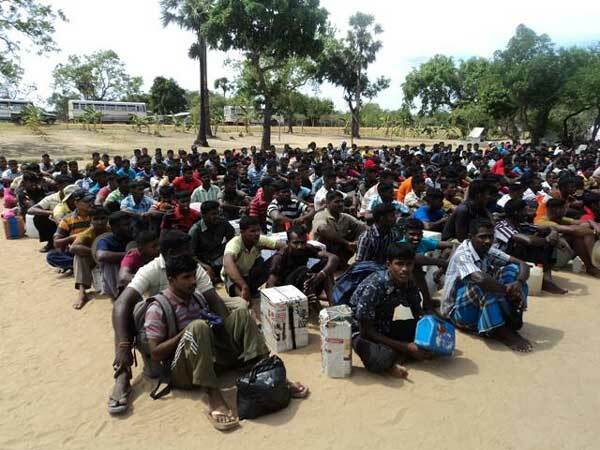 Some Tamil politicians allege that more than one-hundred ex- LTTE cadres had died so far due to some suspicious treatment given while they were undergoing rehabilitation under the supervision of the Army. Thamilini who reportedly had been strong and steady when she surrendered to the Army after the rebel outfit was crushed in 2009 by the security forces, died of a cancer in October last year, two years after she was released from the rehabilitation process. Some Tamil politicians who wanted to disown her following the publishing of her autobiography which was critical of the LTTE leadership attempted to relate her death also to their suspicious treatment theory. The allegation was first made by a former LTTE leader in the Oddusuddan area in the Wanni who told the Reconciliation Task Force that was appointed by the government and currently seeking public views on the measures to be taken towards bringing about reconciliation among communities that he who had once been strong enough to carry two cement bags was so weak now that he could not carry even 10 kilos of weight after an injection that was administered during rehabilitation. This incident opened a Pandora’s Box with Northern Provincial Council member Thurairasa Ravikaran who claimed at a press briefing that 107 former rebels had died so far under suspicious circumstances, asserting the need of medical tests on all surviving rehabilitated LTTE cadres. This demand for medical tests under international supervision has begun to gain momentum with the Eelam People’s Revolutionary Liberation Front (EPRLF) chief, former parliamentarian being in the forefront. Health Minister Rajitha Senaratne replying to a question by a journalist at a media briefing to announce Cabinet decisions had said that medical tests could be done if complaints are made formally adding that Thamilini who died recently had not mentioned anything about such suspicious medication in her autobiography. Minister Sarath Amunugama also had expressed to a Tamil newspaper the same view on the demand for medical tests. It is interesting to note that despite many Tamil politicians and Tamil media making a hue and cry over the matter, prominent leaders of the main Tamil political coalition, the Tamil National Alliance (TNA) such as R.Sampanthan, Mavai Senadhirajah and M.A.Sumanthiran have not uttered a word so far about it. The motion called upon the government to release all medical records pertaining to ex-LTTE cadres, to seek international medical assistance to ascertain the cause of deaths and to facilitate inquiries and provide medical assistance to the surviving cadres. As in many similar cases, only the Tamil media is giving prominence to the controversy with some Tamil newspapers carrying around ten news items a day on the matter. Many Sinhala and English media did not appear to have felt a need to carry at least the motion unanimously passed in the Northern Provincial Council. The reason seems to be the media’s reluctance to hurt the sentiments of its audience which could disturb the market. Tamil media also follow this policy when it comes to the atrocities committed by the LTTE or similar incidents which the Tamil audience does not like to see highlighted. The irony is that by pursuing this policy the media of a particular language attempts to hide from its audience something that is already known by the whole world including people who use other vernacular language media in that very country and the international media. In this particular case while the Sinhala media are reluctant to discuss the controversy over the deaths of former LTTE cadres, the Indian media has already started that discussion. Three questions can be raised with this toxic injection theory. 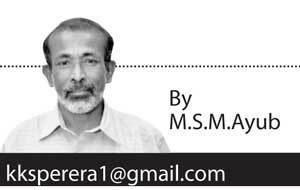 Firstly, is there a strange situation in the deaths of former LTTE cadres? People die in their twenties, thirties or forties irrespective of them being former LTTE rebels or not. However if that abnormality is proved, there would definitely be a serious case for the government and the society to look into. Secondly, is there a possibility of insurgents being poisoned by the security forces of a country while the former are being incarcerated? There is, but the widespread use of toxic substances is incomprehensible. There are instances in world history where armed forces had poisoned or attempted to poison leading rebels who had been in detention. For instance, while former South African President Nelson Mandela was at Pollsmoor Prison under the apartheid regime there had been attempts to contaminate the medicines taken by him with thallium, a colourless, odourless and tasteless substance that would make it difficult to treat a person who had consumed it. Again, thallium had been found in the blood of the iconic former South African anti-apartheid activist Steve Biko and it was suspected that it had been given to him while he was tortured by the South African police during the same apartheid regime.Thirdly, is there any evidence to prove that the Sri Lankan security forces used chemical substances to contaminate the blood of northern or southern rebels? No, so far no such evidence has been found. As Minister Rajitha Senaratne said Thamilini has not even hinted at such an incident in her autobiography. If such an inhuman practice was followed by the troops they would have first targeted the rebel leaders. Then it would be ironic that Nagulan, the commander of the elite Charles Anthony Brigade of the LTTE who was recently arrested following the recovery of a suicide jacket in a house in Jaffna seems to be still strong and steady. However, one might argue that anything is possible in a war. Besides, the Tamil community seems to be agitated with the recent media reports on the subject. Hence it is justifiable on their part to call for investigations and to attempt to allay doubts.Nevertheless, what the Tamil politicians have to be careful about is that the very reports on the matter too would affect the former rebels, especially the women in their married lives or future marriages as well as in their social lives.